The special!? 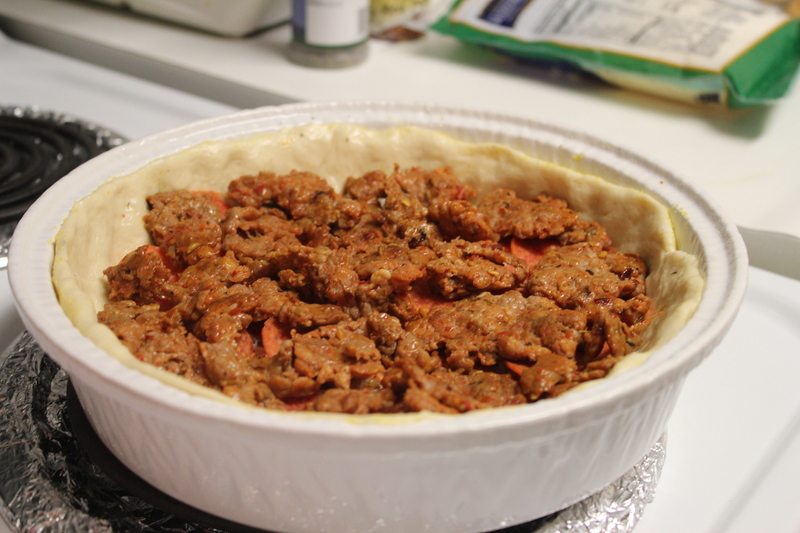 Homemade Deep Dish! Yeast has always been something I stayed away from while baking. After a few really really dry and not so yummy tea rings, I haven’t baked with the stuff in years. These tea rings, btw, when made by my mother in law are amazing! Combine all the ingredients, except for the cornmeal, in your mixer and mix on low until all combined. I used my dough hook. Then increase the speed to medium and let it mix for a few minutes until a nice dough ball forms and its smooth and elastic. I placed my dough in a glass bowl that I had greased with a drizzle of olive oil. 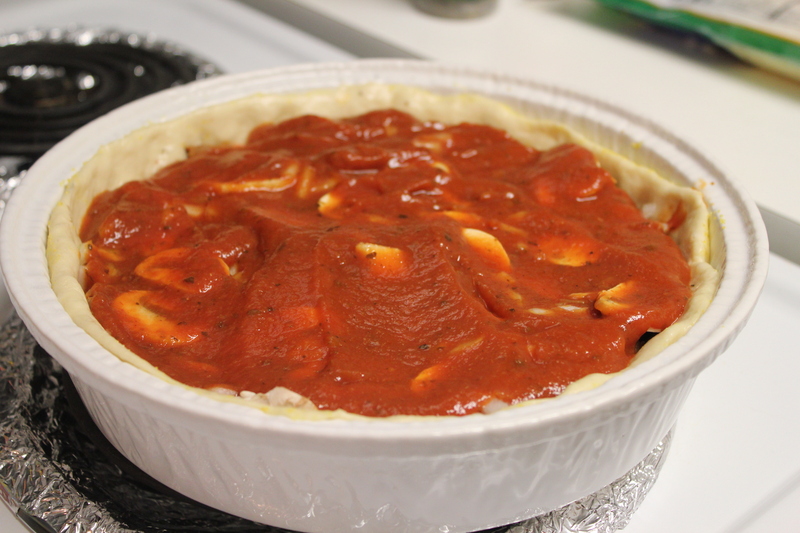 I then covered with plastic wrap and let it rise for 45 minutes. It doubled in size. You can use your favorite toppings. 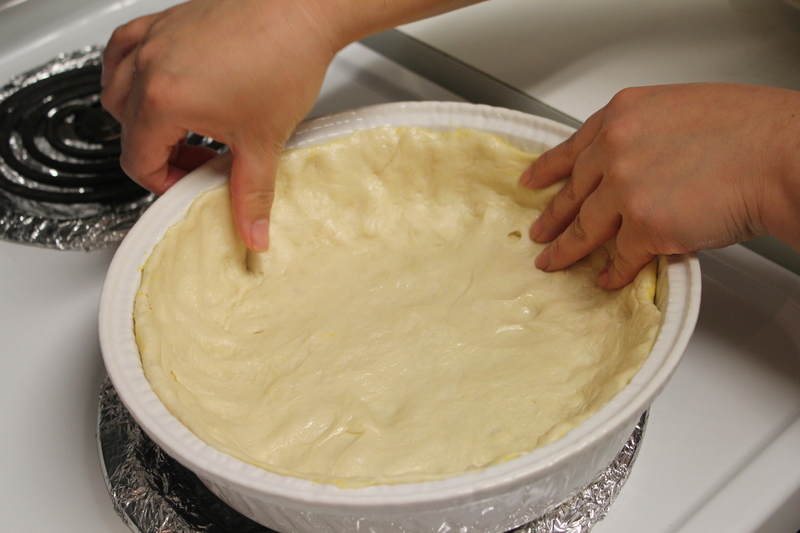 Once your dough is done rising, punch it down in the middle. Preheat your oven to 450 degrees. Put a drizzle of olive oil in a pan and wipe it all around with a paper towel. Remember to go all the way up the sides. Sprinkle the cornmeal on the grease pan. 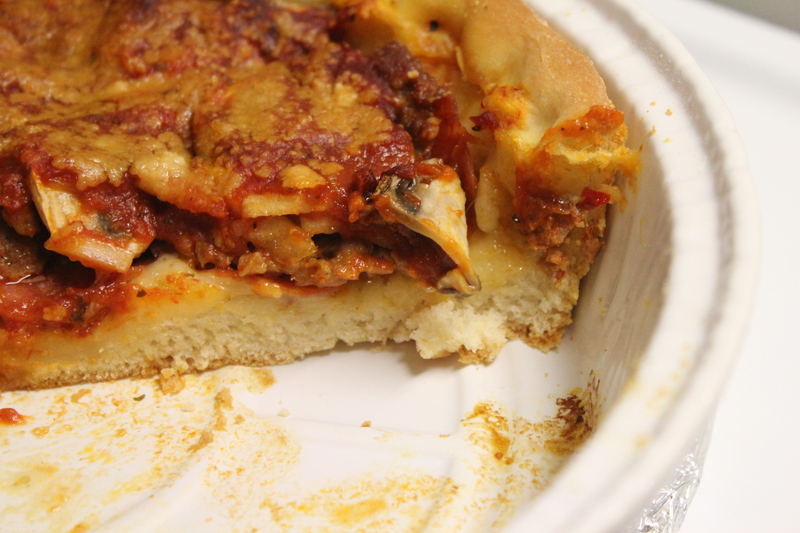 We actually only used ½ our dough for the pizza. 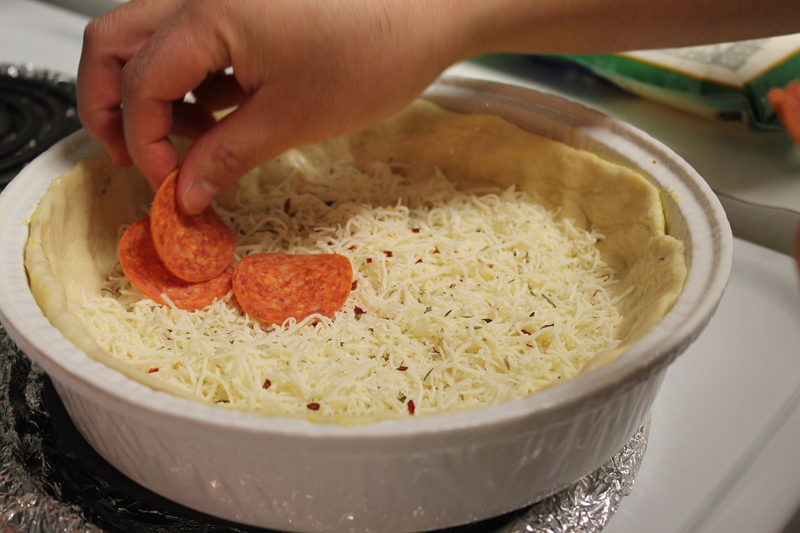 Once you have your dough pressed into the pan, start layering your toppings. 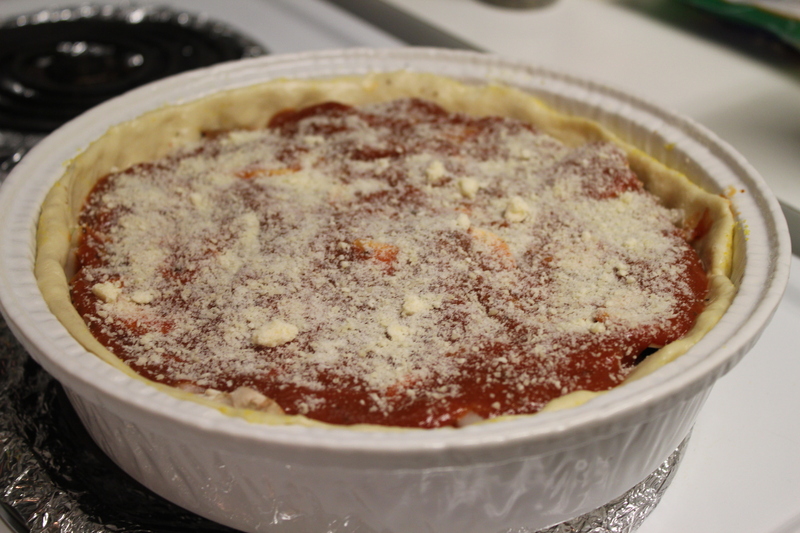 Traditionally I think deep dish pizzas always have the cheese on the bottom, so that’s where we started. 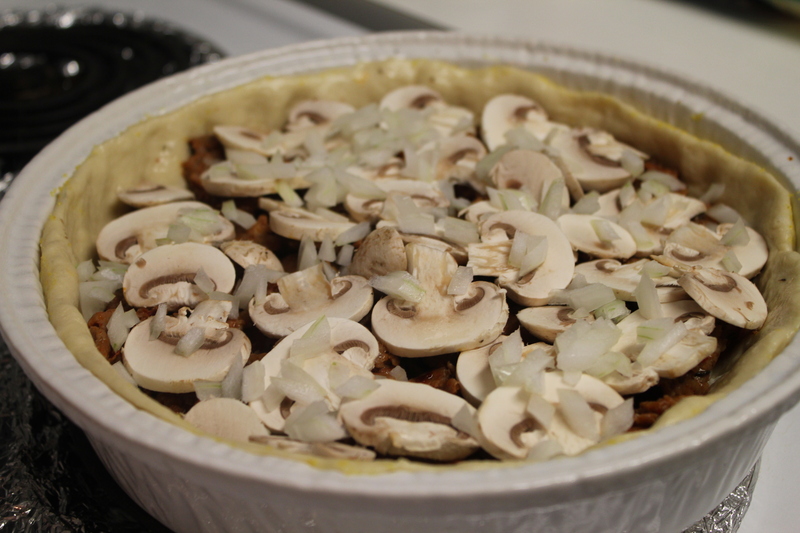 Once that is done, pop it in the oven on the middle rack, bake for about 15 minutes at 450, and then drop temperature down to 400. Ours baked for about 30-35 minutes. Will we be making it again? For sure! We had a lot of ‘juice’ in ours, we think it was from our mushrooms, so we are thinking about sautéing them a bit before putting in our pizza next time to sweat out some of the liquid. Other than that it was pretty tasty!